Synopsis (from Amazon): From USA Today best-selling author Sarah Morgan comes a hot new trilogy set in the exciting world of New York City. Don't miss this heartwarming story about a trio of women navigating friendship, finding love, and embracing life! Cool, calm, and competent, events planner Paige Walker loves a challenge. After a childhood spent in and out of hospitals, she's now determined to prove herself - and where better to take the world by storm than Manhattan? But when Paige loses the job she loves, she must face her biggest challenge of all - going it alone. Except launching her own events company is nothing compared to hiding her outrageous crush on Jake Romano - her brother's best friend, New York's most in-demand date, and the only man to break her heart. When Jake offers Paige's fledgling company a big chance, their still-sizzling chemistry starts giving her sleepless nights. But can she convince the man who trusts no one to take a chance on forever? One (or more) Sentence Summary: Sleepless in Manhattan was a true chicklit book, my favorite genre! I love the three female and three male characters. I can see where the other books will go and I love it! Paige loses her job and has to make a tough decision in a tough city....dive in or go home. With the help of her friends and a hot man, she makes the right decision. 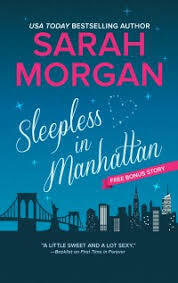 Sleepless in Manhattan is an easy read that left me wanting more. Good thing there are several other books in the series! Would I Read Other Books by the Author: Yes. I want to read the whole series! 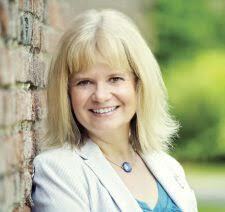 USA Today bestselling author Sarah Morgan writes contemporary romance and her trademark humour and sensuality have gained her fans across the globe. She is a 3 time winner of the prestigious RITA® Award from the Romance Writers of America and has been nominated five times. Sarah lives near London, England, and when she isn't reading or writing she loves being outdoors. URGENT LOVE-SPELL TO GET YOUR EX BOYFRIEND/GIRLFRIEND BACK FAST!! I’m so excited! Thanks to Dr.Goodluck. for bringing back my Ex-husband and brought great joy to me today! goodluck05spellcaster@gmail.com is certainly the best spell caster online,if you need your Ex lover back fast!and his result is 100% guarantee.. I am in the exact situation Has anything changed? My relationship had zero moral fiber I left several times hoping he would change Here I am again alone and now he stated that he is done trying??? I left him however he told me that I can not just come and go as I please and think that everything is okay He just does not get it!!! He treats me like a chair in our home It is just daunting I hope your situation is better?Help! I'm confused and getting very frustrated. My boyfriend and I have been separated for four months now and nothing is happening. He's doing nothing.